International_Court_of_Justice - By International Court of Justice; originally uploaded by Yeu Ninje at en.wikipedia. 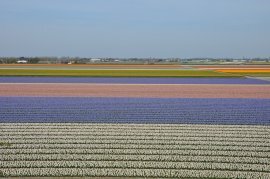 South Holland is one of the most popular regions for visitors to Holland, and it also one of Europe's most densely populated and industrialised regions. If you don't like stepping on other people's toes all the time, then South Holland might not be the best destination for you unless you manage to completely avoid the bigger towns and cities. Rembrandt, Vermeer, and Erasmus are three famous names that have their origins in South Holland – and so it should not be a surprise that you can also find a few museums and art galleries dedicated to those men. 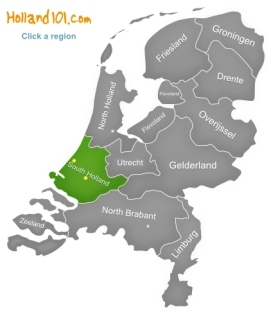 South Holland is also one of the few regions of Holland in which you won't get in trouble for calling the whole of the Netherlands Holland. 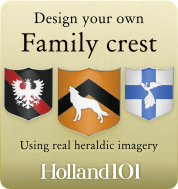 South Holland is one half of the original region of Holland (with the other one being North Holland, logically). South Holland is mainly interesting for its history, culture, heritage, and the cheese! The Hague is the capital of South Holland. 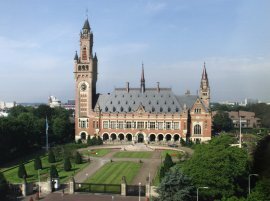 The Hague is often called the judicial capital of the world because there are so many courts in this city. It is also the seat of the Dutch parliament, so you can expect to see plenty of people in suits all over the city. However, the city has more to offer than courts and politicians (otherwise it would be rather boring!). The Binnenhof is – while being related to politics – a great place to visit. It has been the seat of the Dutch government since the 14th century. And the Peace Palace is also a very impressive building! The Mauritshuis is a palace from the 17th century in a lovely surrounding. There is a small museum and a guided tour that takes around one hour. It is a nice experience because you will also get to see some notable examples of the works of Vermeer and Rembrandt, both being very important Dutch artists. If you are interested in Dutch antiques and art, then you should take a stroll along the Denneweg, because this area is quite interesting and one of the best places to find antique and speciality shops in this region. While The Hague is South Holland's capital, there's no denying that Rotterdam is the largest city in South Holland, and also more famous internationally. Rotterdam is the second largest city in Holland (after Amsterdam), and existed in one form or the other since around 900. Rotterdam always did fairly well economically, but the city only really started developing at a rapid pace in the second half of the 19th century. Rotterdam is one of the most international cities in Holland as around 50% of the population of Rotterdam is not native! 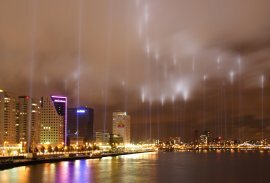 This leads to the fact that Rotterdam is quite a melting pot, and you can enjoy all sorts of cultural activities. Of course, you can also learn a lot about Dutch history and heritage in Rotterdam, as there are some excellent museums, and of course also some historical buildings that wait to be explored by you. There are historic churches, monuments (like the Erasmus monument), a zoo, botanical gardens, lovely parks, and also quite a few attractions along the harbour side. Alphen aan den Rijn is an interesting village as it has been around for over 2000 years, and has seen a lot of history due to its strategical location at the Old Rhine. The Romans had an old fortress in Alphen aan den Rijn, and Roman remains have been found by archaeologists. The Archeon in Alphen aan den Rijn is a great place to go to if you have a serious interest in the live in Holland in the past. It is a theme park that shows the living history of the Netherlands. 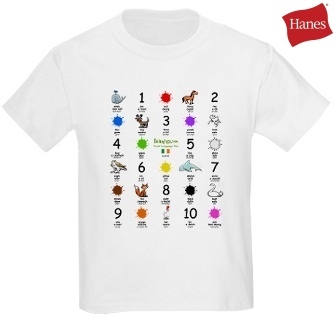 There are over 40 different buildings from different periods of time. Apart from history, Alphen aan den Rijn has a lot to offer for visitors: a bird park, an animal park, a water park, and of course plenty of old buildings and monuments. Cheese lovers will want to visit the home of the famous Gouda cheese. Most of the city is below sea level, but you don't have to worry about flooding! While Gouda is not very different from other charming Dutch towns, it is worth a visit because of it's old centre, and the lovely buildings. It is one of the calmer places in South Holland, and a good alternative to the bigger cities. Kinderdijk is the best place in South Holland to see windmills. The network of windmills around Kinderdijk has received the UNESCO world heritage status in 1997, and is very popular with visitors. One of the windmills is open for visitors, and it's definitely a unique experience that makes an important aspect of life in the region more accessible to interested visitors.